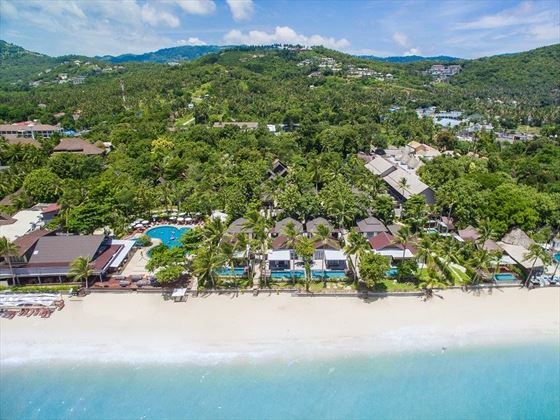 Prepare yourself for a thoroughly absorbing experience as you discover the lush botanical gardens and crisp white sands that form the backdrop to the wonderful Peace Resort Samui. 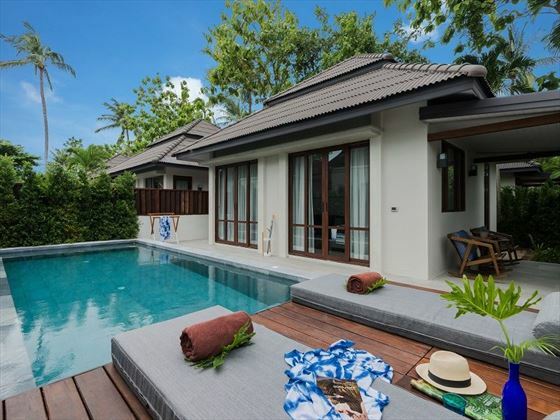 This is a fabulous location from where to envelope yourself in the essence of southern Thailand with an excellent array of bungalow and villa accommodation offering a tranquil and secluded base from where to explore the island or make the most of the facilities. With Peace Tropical Spa close by and the amazing Sea Wrap restaurant in-resort, you'll find all of your senses tingling in anticipation and from romance seeking couples to beach-loving families, if you're looking for peace and quiet then welcome one and all. 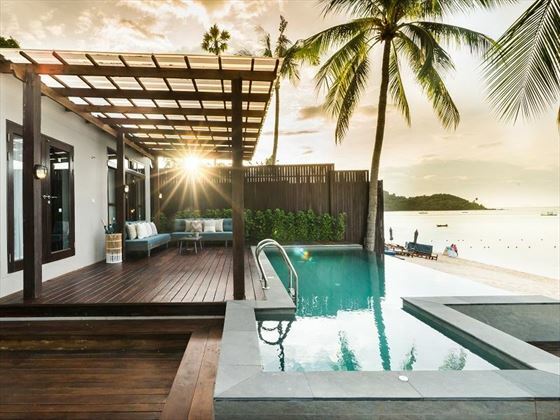 Boasting a prime seafront location on the pristine Bophut Beach, the Peace Resort is found on the island of Koh Samui’s northern coast. 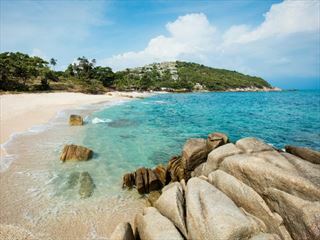 With a backdrop of lush green forests and sparkling blue sea, the atmosphere here is peaceful and calm. The location of this resort is fantastic with lots of magnificent landmarks, viewpoints and places to explore close by. The historic Bohput’s Fishermans Village is a 15 minute walk away, offering rustic-style architecture, boutique stores and lovely eateries. The village takes up a bustling, exciting atmosphere on Fridays with the Walking Street Market, attracting a large number of visitors for the vast array of market stalls. The majestic Wat Plai Laem Big Buddha statue is just 15 minutes away, with an 18-arm statue of the goddess of mercy. 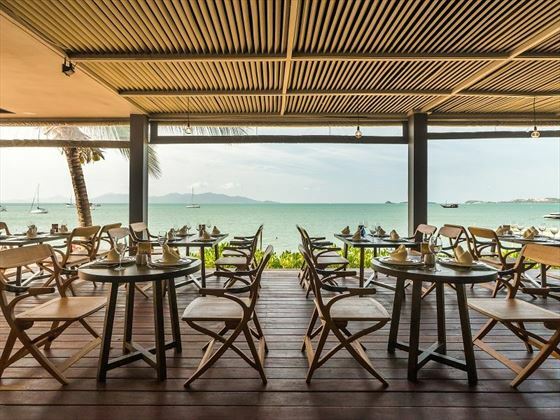 The neighbouring islands of Ko Pha Ngan, with the Angthong National Marine Park, and Koh Tao, translating to turtle island, are fantastic places to travel to for a day trip with stunning landscapes and lots to do. 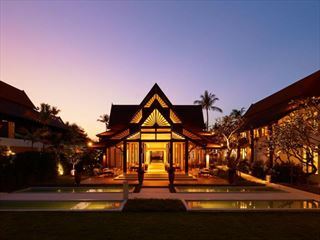 • Samui International Airport is just four miles away from Peace Resort. 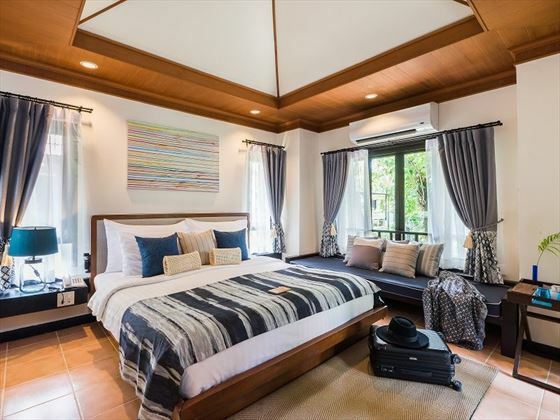 Superior Bungalows – situated in a landscaped tropical garden with private outdoor terrace area and one king-size bed or two twins, sleeping up to 3 people. 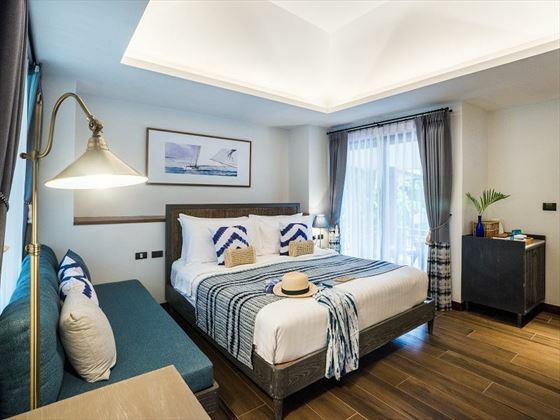 Deluxe Terrace Room - on the first floor with tropical garden views sleeping up to 2 adults and 2 children with a private balcony and a relaxing bath tub. 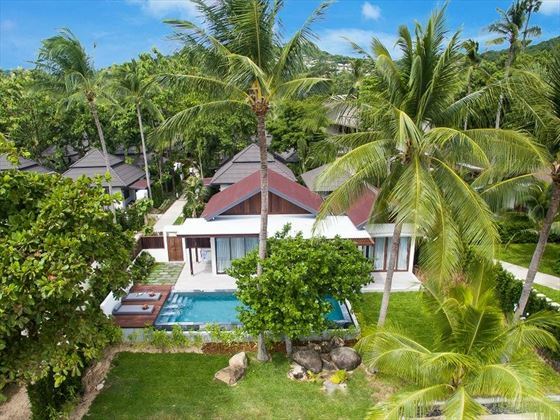 Deluxe Bungalow– larger than Deluxe Terrace Rooms with an extra couch option as well as more space and fully-furnished terrace, 2 minutes walk to the beach, sleeping up to 2 adults and 2 children. Premier Bungalows also sleep a family of four with a larger bedroom, private terrace and bathroom with Jacuzzi. 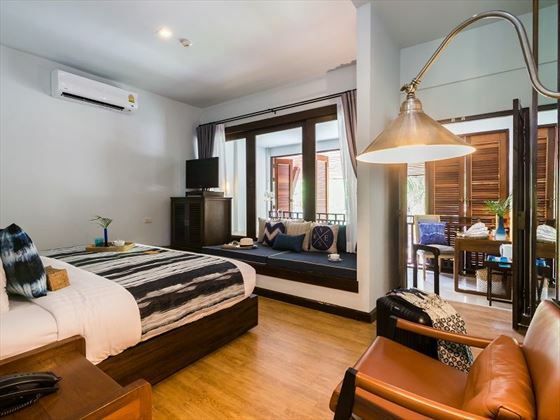 Deluxe Plunge Pool room - on the ground floor spacious rooms with private plunge pool, ideal for small family or honeymoon couple. 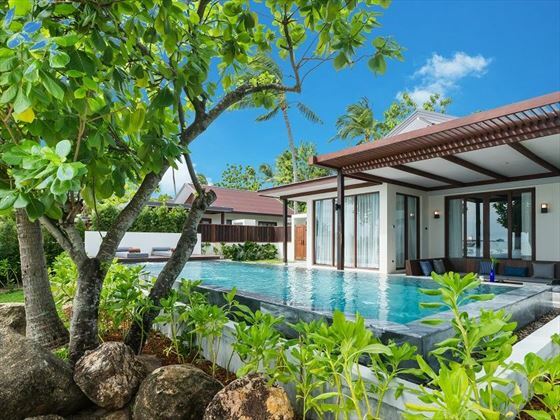 Sea Breeze Pool Villa – larger than Deluxe Bungalows and closer to the beach, include a private decking area with partial sea views, a swimming pool as well as a separate tub and shower in the bathroom. 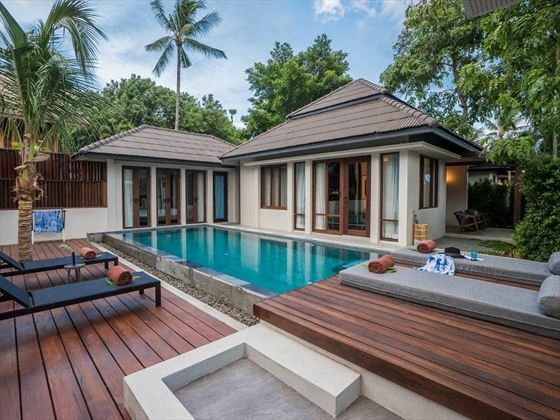 Two Bedroom Sea Breeze Pool Villa - these new Villas are very spacious with lovely private deck area and swimming pool - perfect for families or friends sharing (can sleep up to 5 adults or a family of 5). 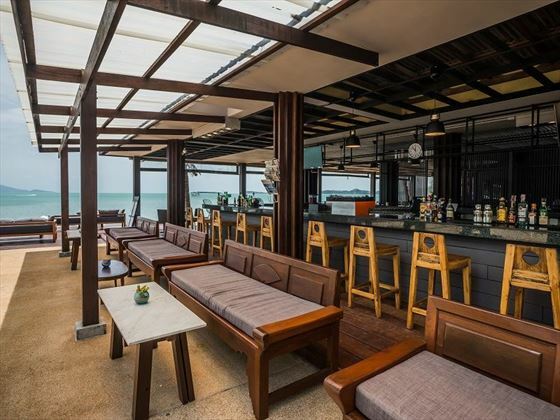 Talay Pool Bar – cocktails, chilled-tunes and light bites served by the pool or on the beach. Dining on the beach – the ultimate in romantic meals for two with carefully selected dishes served under an ornate and secluded beach sala. 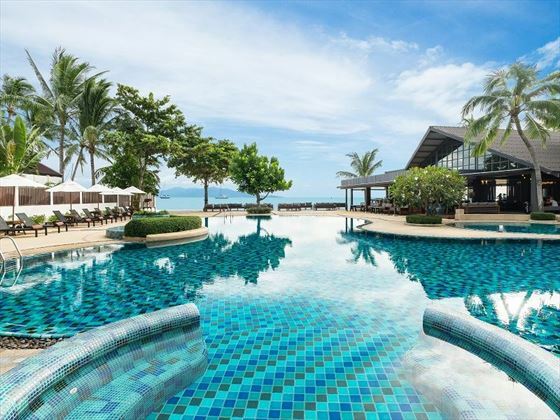 • Peace Tropical Spa is situated opposite the resort and offers a great selection of well-being treatments and beauty therapies as well as traditional Thai massages which are also available under salas by the pool and on the beach. Playground with mini writing tables.